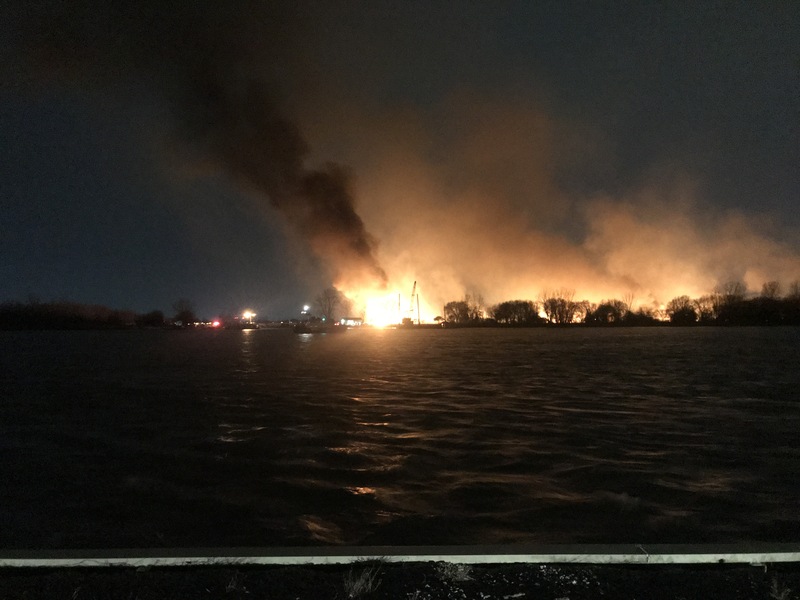 Firefighters in LaSalle battled a marsh fire on Fighting Island Saturday evening with flames that could be seen from miles away. The fire started on the northeast end around 8:30am and the wind caused the fire to move south. J&J Marine assisted by transporting a fire truck and equipment to the island. 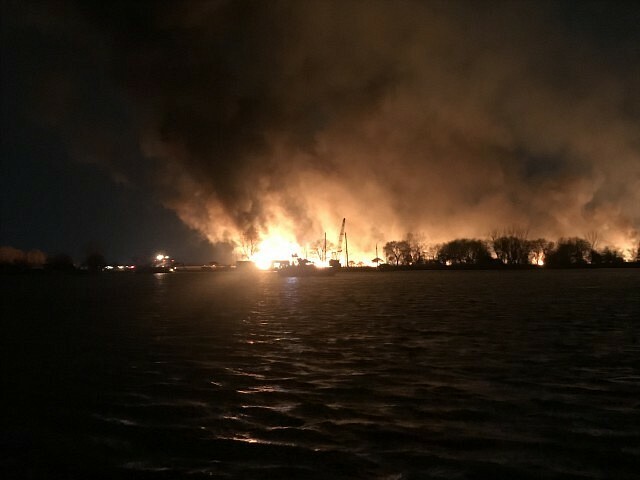 Amherstburg Fire was called in to assist, and Windsor Fire assisted with fire protection coverage in LaSalle. Fire crews used strategic steps to block the fire from spreading and were able to protect all of the buildings and three-quarters of the vegetation on the island. 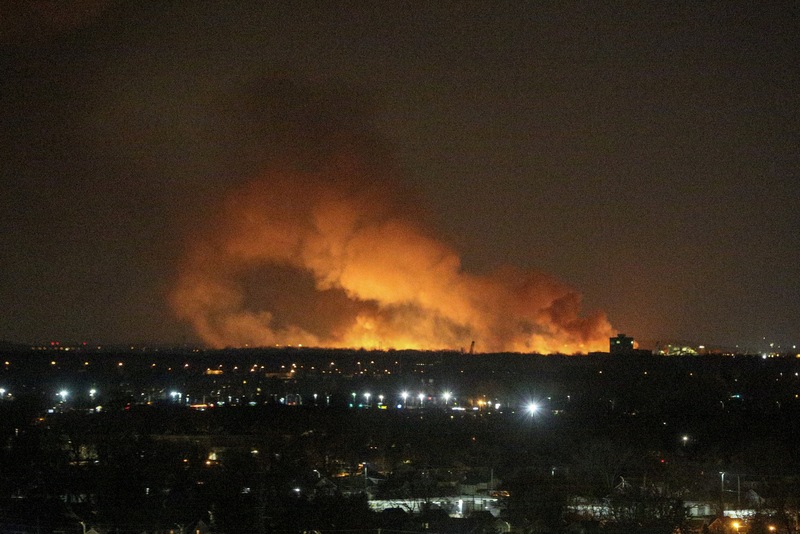 At the peak time of the fire, there were 30 firefighters on the island. The fire was called out around 2:45am, and fire crews left the island around 4:45am. An investigation is underway, but officials have ruled it accidental and it is not classified as suspicious. “I am proud of all of our personnel and the partners who worked together to extinguish the fire. BASF owns Fighting Island and they have done some great work environmentally, including the development of an outdoor classroom. Some of the boardwalks were destroyed, but the vegetation can regenerate,” said Mayor Marc Bondy. Fighting Island is a 1,500-acre island on the Canadian side of the Detroit River in LaSalle. It is used as a corporate retreat and education center – BASF in cooperation with Essex County schools turned the island into an outdoor classroom, providing a hands-on learning environment that has hosted more than 30,000 students from the local community. 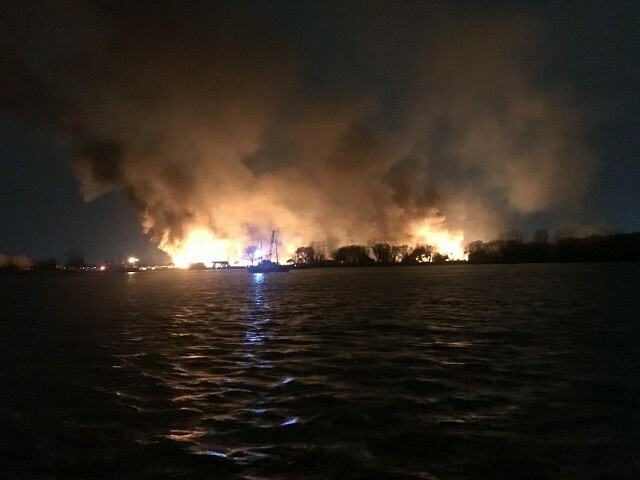 BASF has stated that the island will reopen to visitors and students when it is safe to do so.